Before I begin, I would first like to show you the deepest trough of a customer I have had to deal with to date. The phone rang. I answered it. Kelsey: Thank you for calling Home Depot, how can I direct your call? Customer: Yes, I have a question. How much does your building cost? Customer: I mean, it’s a big store. I can’t imagine how much it costs to heat and air condition, it must cost a fortune. It’s a huge store. Just the land must be hugely expensive. So I want to know, why does your management bother having that giant brick-and-mortar store if they’re just going to put everything on their website? Customer: So anyway, the meat of my call is that I saw this chandelier in a magazine and it said that you could buy it at Home Depot so I went into your store but you didn’t have it. I asked a guy and he said it was on your website and I asked him for more information on the chandelier but he said he was new and couldn’t help me and walked away. Kelsey: Well ma’am, I can definitely try to help you. Can you tell me about chandelier? 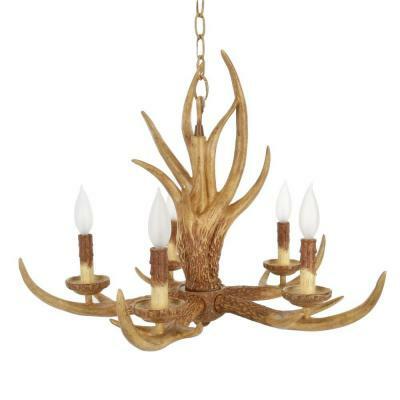 Customer: Well it was only a little tiny image in the magazine but it was a five-light antler chandelier for $189. Kelsey: I have it pulled up here in front of me. What would you like to know about it? Customer: How big is it? Kelsey: It’s…let’s see…it’s 26 inches in diameter. Kelsey: It’s the size of a circle from one side to the other side. Kelsey: It’s…the measure of a circle from one side all the way to the other side. Customer: What does that have to do with the chandelier? Kelsey: Well it’s a circular base. So you would measure it from tip to tip, and that’s 26 inches. It’s 19 inches high and 26 inches wide. Customer: 26 inches from what point? Kelsey: Uh…you know what, the radius is 13 inches. Customer: What is a radius? Kelsey: That’s the measure from the middle of the circle to the end of the circle. So from the center of the chandelier to the edge of the chandelier, that’s 13 inches. Customer: Why would I want to know that? Kelsey: I don’t know…I just…the chandelier is 26 inches. Customer: And you don’t have the chandelier in front of you? Kelsey: No ma’am, just a picture from the website. Customer: This is so useless. How can you know from a picture if it’s a good fit or not? I don’t know, how can you tell from a tiny magazine photo if it’s a good fit or not? Cheese and crackers, I spent the rest of the conversation explaining that no, you have to pay for the chandelier before anyone will ship it anywhere. I just. After the conversation ended, I just had to sit back and think about the fact that this woman called to complain that we have a website. Anyway, I am sick. I don’t know why. For the past week, I have been experiencing nausea. I’ll stand and make phone calls and I’ll have to pause and put a hand over my mouth because I just experienced a sudden, intense wave of sickness. I haven’t thrown up or anything, but I just…I just feel overwhelmed by the sickness or something and I have to sit down or put my head in my hands. I also have some heartburn and I feel flush and warm sometimes, but mostly it’s the nausea. I’ve had random spells like this before. I just get sick sometimes, for no reason. What’s weird about this is that while eating definitely makes the symptoms worse, it doesn’t matter what food I actually eat. I tried to deal with the problem by eating small meals made of up mild foods, like rice and crackers. Then one day I snapped and had James take me out for Mexican food. 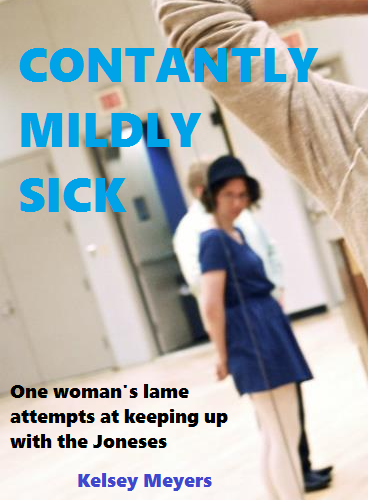 I had exactly the same after-meal nausea. So this morning when I nearly threw up trying to process an appliance refund, I decided that I would wait until my mid-shift coverage arrived, and then I would go to the doctor. Because seriously, it has been a week and there is just no sign of stopping. It has been long enough that I can classify “good days” and “bad days” and today was a “medium day” while yesterday was a “good day” and the day before was a “bad day”. Fortunately Home Depot understood because Home Depot has very good management. I went to the urgent care closest to my townhouse. They did the tests: I have a very mild fever (I am normally in the upper 97s but am currently in the mid-98s). I explained my symptoms in between belching because goodness gracious whatever it is that I have gives me gas. First thing they did was test for pregnancy and No, I Am Not Pregnant. So they gave me a prescription for anti-acids (for the heartburn) and been referred me to an ultrasound person to test for gallstones. And now I’m sitting here waiting for my body to finish processing my lunch. After I finish this post, I’m going to make some phone calls, get the utilities for the new house set up because we close on Friday. Then I guess I’ll do word puzzles until I feel okay enough to start sorting books and packing.